A beefy, new BAT action will debut at SHOT Show 2017. 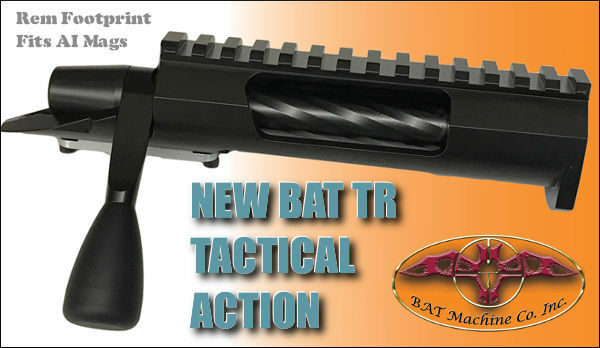 The new BAT TR Tactical action will be showcased by BulletCentral.com at Booth #2963. 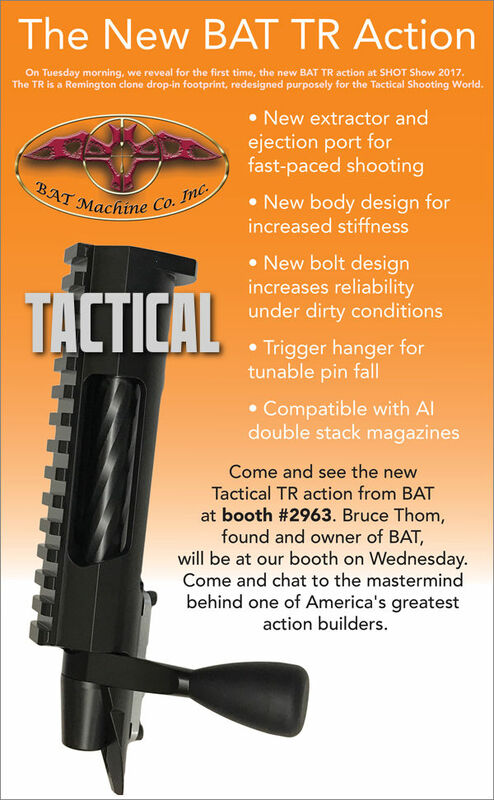 Notably, Bruce Thom, founder of BAT Machine, will be at the booth on Wednesday, January 18, 2017. Stop by to meet Bruce and learn more about this action. Designed from the ground up for tactical and PRS shooters, the new TR action features a very stiff, robust body that still fits a Remington 700 inlet. The TR’s bolt is different than on BAT’s benchrest actions, so the TR runs better in dusty conditions and with extended strings of fire. This new action is fully compatible with Accuracy International double-stack magazines. Share the post "New BAT Tactical Action Debuts at SHOT Show"
Recently, we profiled the all-new, bolt-action Ruger American Rimfire™ rifle. It’s modular, affordable (MSRP $329.00), and it will be offered in three rimfire chamberings: .22 LR, .22 WMR, and 17 HMR. Notably, the .22 versions can use all types of Ruger 10/22 magazines — that’s a huge plus for folks who already own a Ruger 10/22. After this new rifle was introduced, readers wondered how well it functions, and how the accuracy compares to the popular .22 LR bolt guns from CZ and Savage. GunsAmerica, a leading firearms buy/sell website, managed to get hold of one of these Ruger American Rimfire rifles, chambered in .22 LR. GunsAmerica’s staff put the rifle through its paces at the range, and came away very impressed. The test rifle shot sub-inch groups at 50 yards with Federal Lightning and CCI Stinger ammunition. We expect the rifle would shoot even better with quality, match-grade Lapua or Eley rimfire ammo. CLICK HERE for full GunsAmerica Rifle Review. 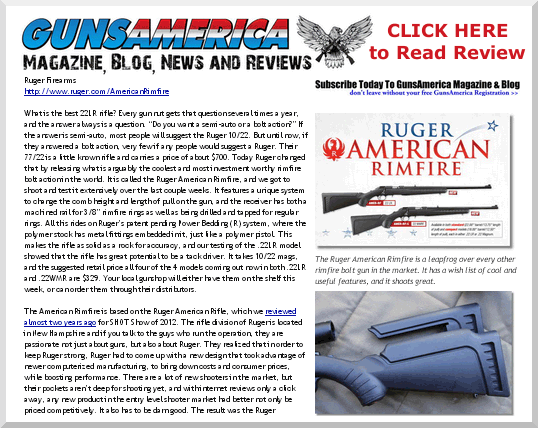 Share the post "GunsAmerica Tests New Ruger American Rimfire Rifle"
Earlier this month we ran a story on the new Sauer 101 rifle. It turns out the Sauer 101 will be distributed in the U.S. by Blaser USA. Here’s more good news for hunters — we’ve learned that Blaser will be bringing another new German hunting rifle to the USA — the Mauser M 12. You’ll find specs and photos of the M 12 below. This is a rifle with a great heritage, superb build quality, plus some innovative features. 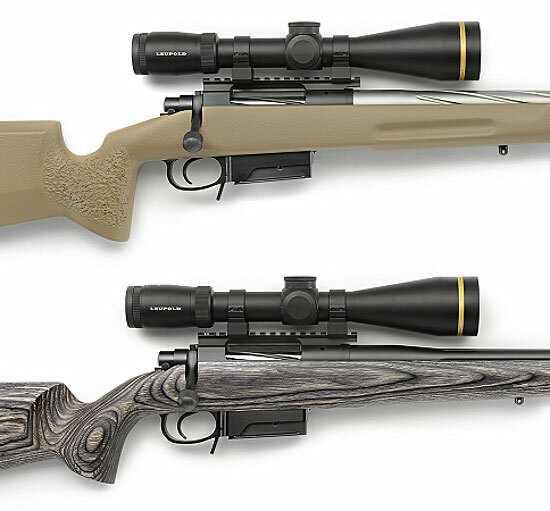 Both the Mauser M 12 and Sauer 101 rifles should be available at retailers in late April. 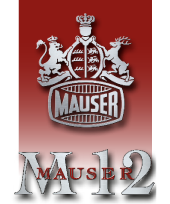 To learn more, visit these websites: www.Mauser-m12.com and www.Sauer-101.com. For additional information on the Blaser line of products visit www.Blaser-USA.com. Bolt Features: 6-lug bolt, 60° bolt lift, bolt lugs engage directly in barrel, side bolt release, bolt can be disassembled without tools. 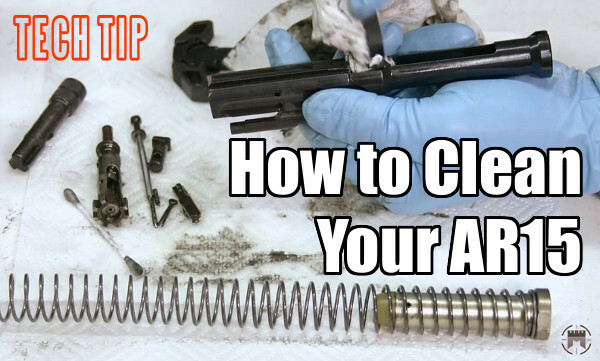 Extraction: Dual, spring loaded-ejectors for positive extraction. Trigger: Crisp 950 gram (2.09 lb.) trigger pull. Magazine capacity: 5 + 1 (standard calibers), 4+1 (magnum calibers). 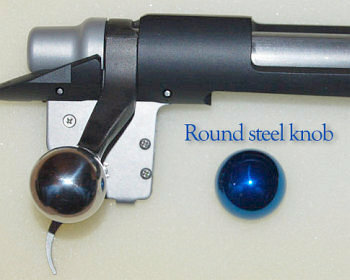 Barrel length: 22″ (standard calibers), 24.5″ (magnum calibers). 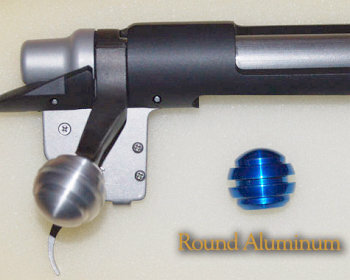 Overall length: 42″ (standard calibers), 44.3″ (magnum calibers). Chamberings: .22-250 Rem, .243 Win, 6.5×55 SE, .270 Win, 7×64, .308 Win, .30-06 Springfield, 8×57 IS, 9,3×62 | 7 mm Rem Magnum, .300 Win Magnum, .338 Win Magnum. 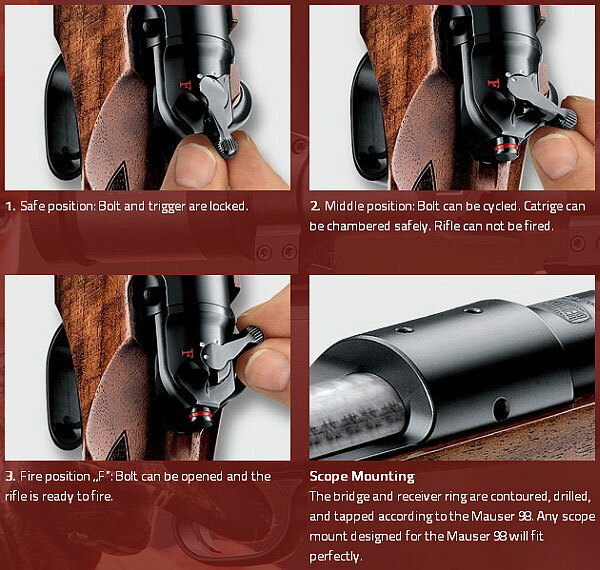 Share the post "New Mauser M 12 Rifle to Be Distributed by Blaser USA"
Looking for a cool extended bolt knob to provide extra leverage and more secure grip while working the action of your rifle? Bolt Knobs by Bill offers a wide array of styles and colors, all hand-crafted with great precision. Bill Hawk’s products range in price from $13.50 to $35, with most metal knobs priced at $30 to $32. 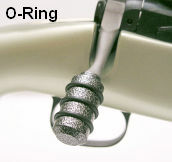 The O-Ring style provides excellent comfort and grip. 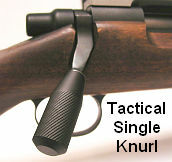 The Tactical style knob is slightly longer and has no o-rings. It is available with or without knurling. Bill also offers a conventional oversized ball in plastic or metal. Click images below to see LARGE PHOTOS. Custom bolt knobs are made from aluminum stock that has been machined, media blasted, and powder coated for a durable and uniform finish. Choose from dozens of powder-coat colors. Knobs are drilled and tapped to fit 5/16 x 24 threaded bolt handles. A round ball style is available in aluminum, steel, or phenolic (hard plastic with threaded brass insert). This configuration still provides plenty of gripping surface but keeps the overall length of the bolt handle shorter compared to the tactical model. Bill Hawks tells us that all his products can be customized: “I started selling bolt knobs a few years ago when I began to combine my passion for metal working and my passion for shooting. Of course, there were other manufacturers who already made bolt knobs, but I wanted to offer something a little different by allowing the shooter to tell me what they wanted and do my best to produce it. Hence the ‘custom’ part. 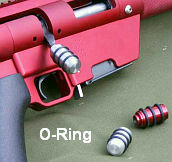 Most people are happy with the tactical and O-ring knobs that are featured on my website, but I also make them to customer spec. Length, profile, thread size, and material can all be adjusted at no extra charge in most cases. My emphasis is primarily on offering a service to my fellow shooters.” There is a secure shopping cart on Bill’s website, BoltKnobsbyBill.com, so it’s easy to order. Send any questions regarding Bill’s products, or the ordering process, to: info [at] boltknobsbybill.com . Share the post "Custom-Crafted Bolt Knobs from Bill Hawk"
Savage Arms will roll out its new 2012 line-up of firearms on November 2, 2011. That’s just a few days away. 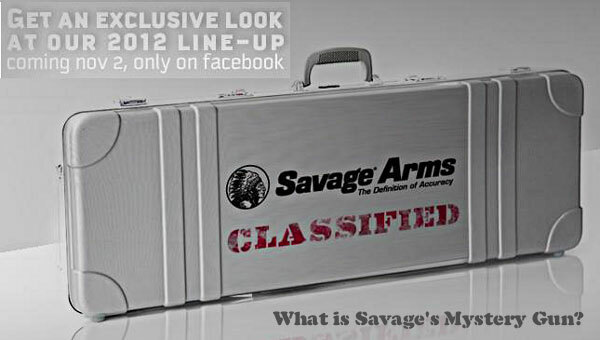 The initial release will be made via Savage’s Facebook Page. An AR-type gun in .223 Rem AND 7.62×39. A big boomer in .408 Cheytac, .416 Barrett or 50 BMG. A single-shot Model 12 Target rifle in 6.5×47 LAPUA. A Mini-14 type rifle in 6.5 Grendel. A “Zombie Zapper” for use with Hornady’s Zombie Max ammo. A lightweight survival-type .22 LR rifle. A 300 AAC Blackout bolt-gun. What do you guys think? We suspect the “Classified” rifle will be a bolt gun with rails and a detachable magazine, possibly with a collapsible stock. Consumer interest in “tactical”-style rifles is very high right now. We can expect Savage to deliver something that caters to market demand. Share the post "Savage Plans to Release New-for-2012 Rifles Next Week"
Marlin will produce a new line of affordable bolt-action, rimfire rifles in 2011. Dubbed the Marlin XT Series, the new rifles will be offered in 17 HMR, .22 LR, and .22 WMR, all with a variety of barrel and stock configurations. We’re pleased to see the XT line fitted with Marlin’s signature Micro-Groove barrels which have proven quite accurate in Marlin’s rimfire lever guns. Sorry, no prices have yet been announced, but XT rifles will be priced competitively in the “affordable” market segment. The good news is that Marlin has fitted a new adjustable XT Pro-Fire® trigger system in the entire XT line. 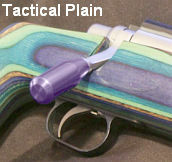 This trigger is user-adjustable from 3 pounds to 6 pounds pull weight, with “virtually zero creep” according to Marlin. A 3-lb pull is acceptable on this kind of rifle. The bad news, in our opinion, is that Marlin has fitted its triggers with a Glock-style “trigger safety” insert that must be pulled back before the trigger can be engaged. The “trigger safety” may please Marlin’s lawyers, but we have found such devices annoying at best, and unreliable at worst. In fairness to Marlin, perhaps it has executed the trigger-shoe safety system in a better fashion than some other manufacturers. Let’s hope so. Among the many XT offerings, we think the Model XT-17VLB may be the best option for serious varminters. Chambered for the accurate, 2500 fps 17 HMR cartridge, this rifle features a handsome, ergonomic thumbhole stock. The added effective range of the 17 HMR gives the varminter more options in the field. As with other XTs, the receiver comes drilled, tapped and grooved for mounting scopes. Among the new XT offering are two new XT Youth Rifles — the first Marlin rifles designed specifically for younger shooters. The XT Youth rifles feature a shorter length of pull, shorter trigger reach, smaller pistol grip and a raised comb, making it easier for young shooters to maintain the proper sight picture. 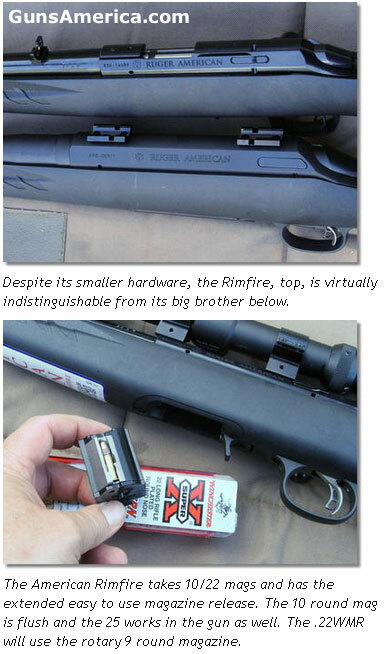 Share the post "New Rimfire Bolt-Guns from Marlin (.22 LR, .22 WMR, 17 HMR)"